COME RIDE WITH US in 2019! Come see what High Desert Devo is all about! Join us for a fun social night and fundraiser at the local bike shop in Cortez on April 4th. We'll have information available about our program, practices, girl's rides, and the race season. Come meet our awesome coaches and riders! There will be food, wine and beer available for purchase. All proceeds from this event will go towards supporting the middle and high school ride programs, paying and training awesome coaches, recruiting girls, providing kids access to kids. 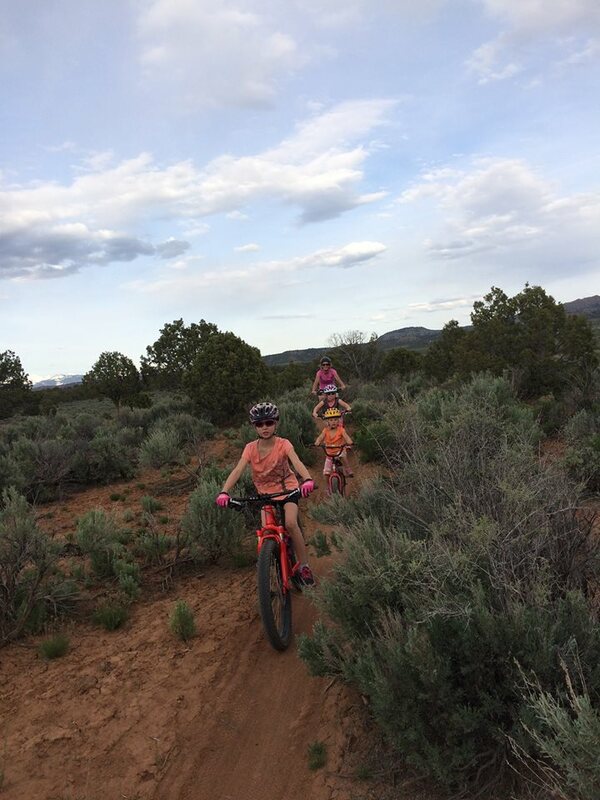 HDD is the only youth mountain bike program serving Cortez, Mancos and Dolores. Please take a moment to watch this Montezuma Inspire Coalition Video which showcases HDD and other awesome entities! With funding from Great Outdoors Colorado, 18 organizations have formed the Montezuma Inspire Coalition and are working together to get youth and their families in Southwest Colorado outside-from the backyard to the backcountry. Southwest Conservation Corps is excited to be a part of the coalition!